The Leona collection by Jennifer Taylor Home is the perfect addition to any living space looking to add a bit of a traditional flair. The fabric selected for the collection features Polyester and Rayon blends and engineered for long life. Our wood frames are made from kiln dried birch wood which provides exceptional support and stability. This chic and traditional design is accented with fringe trims top and bottom and a decorative corded tassel around the middle. The Leona is an ideal choice for the entryway, hallway or living areas. This ottoman brings class and lounging comfort to any room in the home, whether it’s used as a footrest or additional seating for guests. We offer a unique versatility in design and make use of a variety of trend inspired color palettes and textures. Our products bring new life to the classic American home. 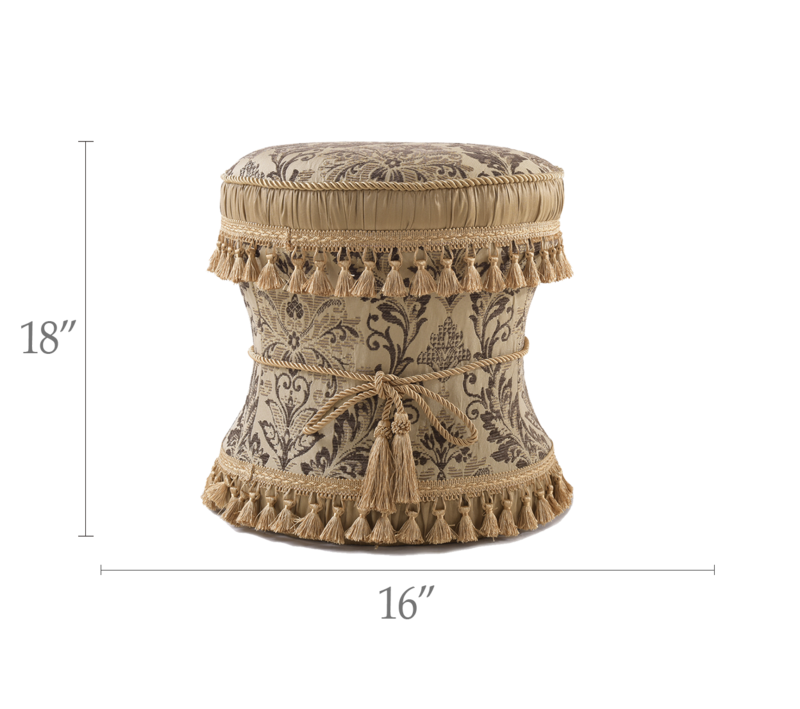 The Leona Decorative Vanity Stool is the perfect addition to any living space looking to add a bit of a traditional flair. 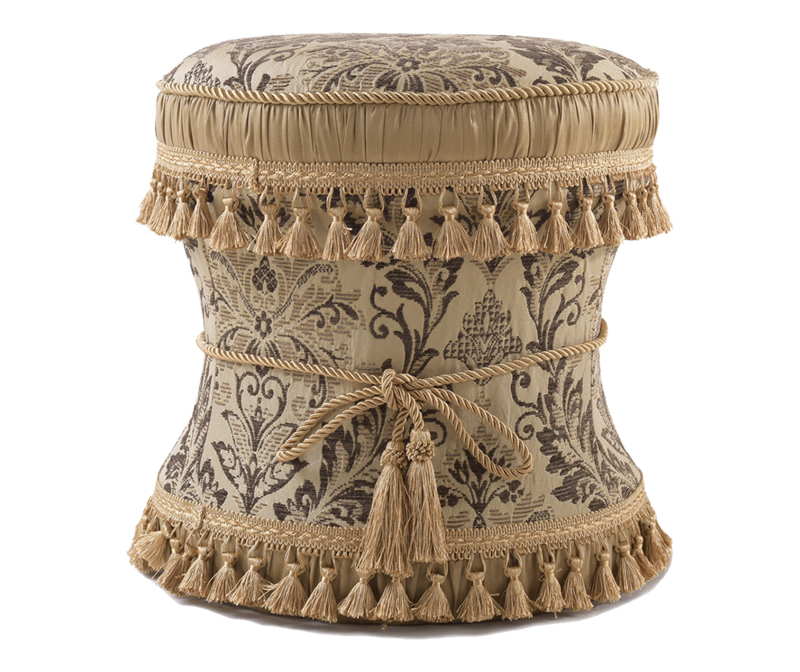 This chic and traditional design is accented with fringe trims top and bottom and a decorative corded tassel around the middle. The Leona is an ideal choice for the entryway, hallway or living areas. This ottoman brings class and lounging comfort to any room in the home, whether it’s used as a footrest or additional seating for guests.